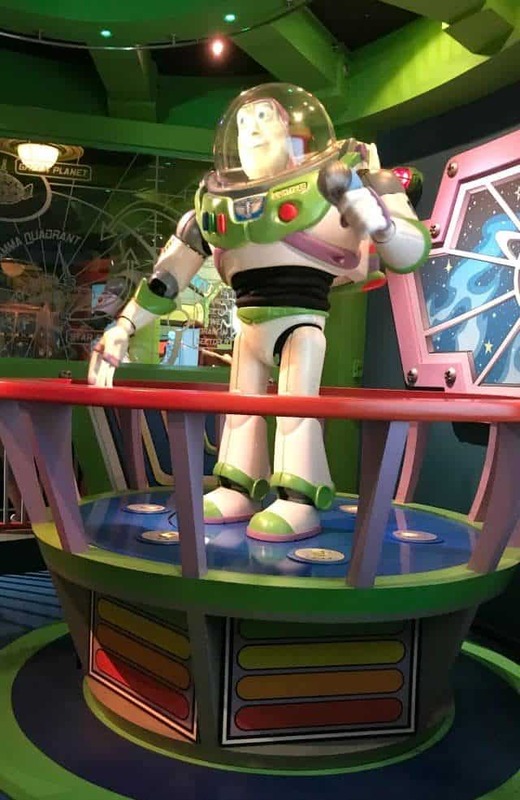 This one day Disneyland touring plan is perfect for anyone that has just one day to visit Disneyland and who wants to focus on the larger rides and attractions. Are you going to Los Angeles and wondering how to do Disneyland in one day? Don’t worry, it can be done! You can get all of the best rides done – even in summer – just by following this One Day Disneyland Touring Plan. 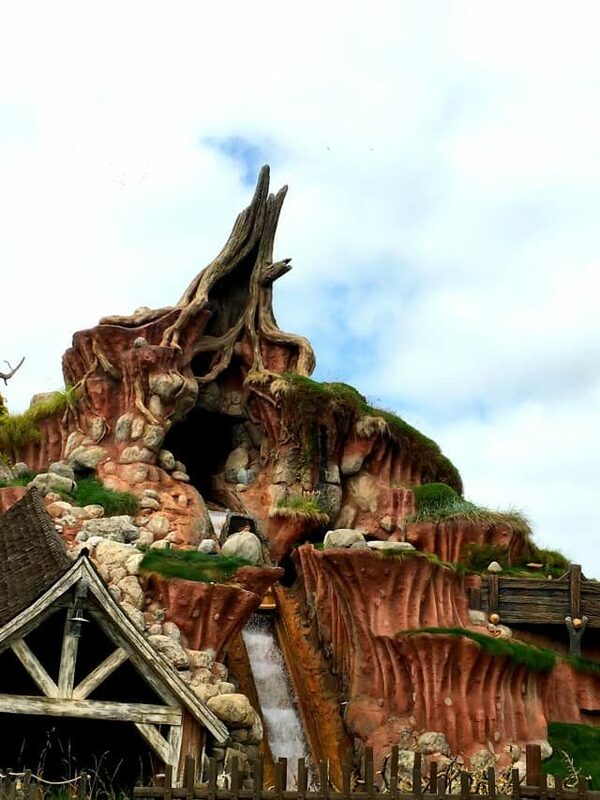 It’s the perfect touring plan for teens or adults, with a focus on the bigger rides like Big Thunder Mountain Railroad, Space Mountain, and Indiana Jones. With this plan you can get all of the big rides done before noon on a busy summer day, then fill in the afternoon with some of the rides you loved as a kid, like It’s a Small World. Up to 60 days prior to your visit, you’re able to make reservations for dining and “extras” on the day of your visit. This is important to do for 1-day touring. If you decide to just do rides and eat from casual restaurants, you can skip this. But if you want to watch the parade, eat at a fancier restaurant, or do character dining, it’s important to plan it out. For a one day touring plan, it’s not optimal to do a character breakfast. Breakfast would make you miss out on the morning touring that is essential to getting it all done in one day. If character dining is a must, schedule one that is held outside the park. For breakfast, do it the morning after your touring. Each of the Disneyland Resort hotels offer a character breakfast. If that’s a must-do, schedule it outside of your touring day. For dinner, Goofy’s Kitchen is quite good (and you can get cocktails). Either plan to do it the night before you are in the park or plan it as a late afternoon break from touring before the evening festivities of parade and fireworks. If you plan to stay in the park open to close, you’re going to need some down time. It’s good to make a reservation for a sit-down restaurant (where there is A/C) to give yourself a good break. Carnation, Blue Bayou, Cafe Orleans, and several others offer reservations and the food is good (and healthier than that corn dog or slice of pizza). You can also make reservations at many of the restaurants in Downtown Disney. Just remember: one end of the park to Downtown is quite a walking distance. Lastly, think about the parade. 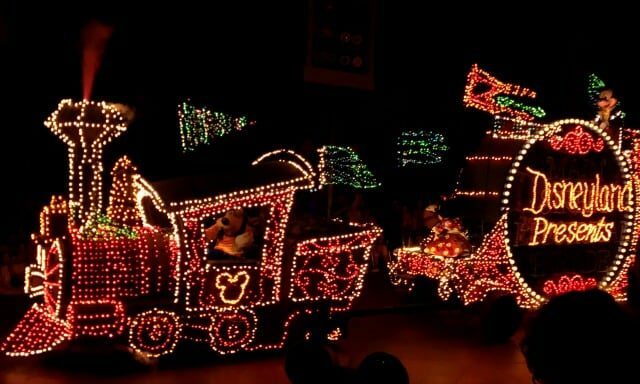 At press time, the park is showing the Main Street Electrical Parade. Because of the popularity, you’re able to reserve a dining package, either for a sit-down meal at The Blue Bayou or for a to-go meal (that you can eat sitting down) at Aladdin’s Oasis. Depending on the timing of your meal (lunch vs dinner) you get a reserved area for seating for the parade. The reserved area is roped off by It’s a Small World and you don’t have to go as early to get a spot (by 8:00 is recommended for the 8:45 parade, which is better than when people start camping out at 5:00 or earlier). Plus, you have to eat! 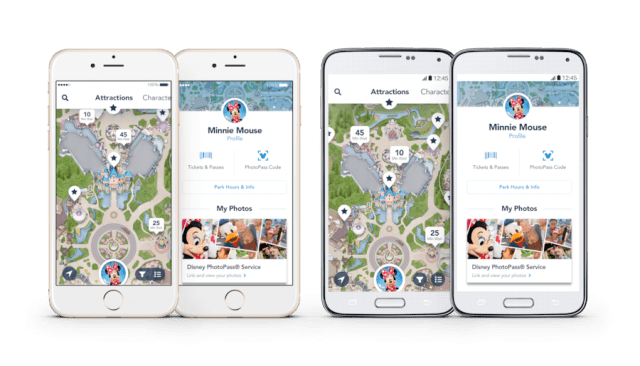 The Disneyland App is perfect for managing your dining reservations (or making new ones as the day goes on), but it’s most valuable for wait times. This can let you know where to head next, what to avoid, and when to get fast passes. Another important factor of my one day Disneyland touring plan is regarding TIME. I’ve been to Disneyland on one-day trips now several times and what I’ve noticed is that the park fills up as the day goes on. It makes sense to go early, but it seems many people just don’t do it. If you only have one day in Disneyland, it is absolutely essential that you get to the park at least 30 minutes before the gates open and get in line, especially if you are visiting in summer. Doing all your favorite rides before the lines get long (and it gets hot) requires you to lose a little sleep! If the park opens at 8am, plan to be parked and in the line at the turnstiles no later than 7:30am. The turnstiles open before the park does. At this point a lot of people meander down main street, get buttons, use the restroom, shop, get coffee. Don’t do any of that: go straight to the ropes, work your way as close to the front as you can and wait for the rope drop. You can eat and shop later; when you’re tired and it’s super crowded and hot. Don’t waste the morning doing those things! I recommend Wednesday for a 1-day visit, followed by Monday or Friday in order of my preference. I know, you’re up at the crack of dawn and not hungry, but force yourself. More than likely, your hotel has some sort of breakfast, even if it’s just granola bars. Go for protein.Then pack snacks and waters. You want to use as much time in the morning as possible riding rides, not waiting in line for food. This Disneyland touring plan is not a “let’s see all of one land before we go to the next”. It involves a lot of walking back and forth. Get new running shoes before you go (but break them in first). Ready to tour? Okay, so you’ve had a good breakfast. You’ve gotten out of bed and to the rope before drop at 8am. Now it’s time for the One Day Disneyland Touring Plan that’s perfect for teens and adults that love to ride rides. At the rope, stand to the right (towards the Matterhorn). Once the rope drops, head to the Matterhorn Bobsleds and ride it first. 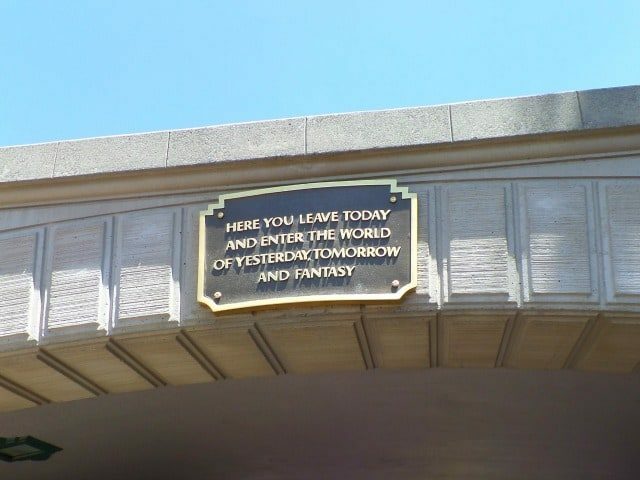 Head to Tomorrowland and ride Space Mountain, if the wait is under 15 minutes. Otherwise, get a Fast Pass. Head to Frontierland and ride Indiana Jones. Haunted Mansion (unless wait is over 20 minutes; if so and time overlaps, get a Fast Pass) and/or return to ride Space Mountain, if you got a Fast Pass. (You can get more than one fast pass at a time once the times overlap). At this point, it’s hot and you’re hungry and you’ve ridden all the rides you HAVE TO RIDE. And, if I’m guessing…it’s only about noon. That’s the best part about arriving early – you can get all the big stuff done before the crowds (and before it’s hot as Hades). Go grab some lunch, rest a bit. Then head to Fantasy Land and do anything your heart desires to make you feel like a kid again. The afternoon is great for shopping, or the train or one of the boat rides (at press time they’re closed). Get another Fast Pass for Space Mountain before the return time is too late, and ride Splash Mountain again when it’s super hot. If you’re not interested in the parade, plan to ride more rides then. Optimal fireworks viewing is in front of the castle, near the Walt Disney statue. If you head there after the parade you’ll get crowded in like cattle, but it’ll be good viewing. I hope you picked up some helpful information from my Disneyland touring plan. Enjoy your visit! I feel proud that you were at Disneyland with me because you knew ALL the tricks! This is seriously such good info and even though getting somewhere at 730am is not my idea of a good time, it does totally make sense on every level….heat, crowds, etc! Sounds like a great plan! Thanks for all the info. We got there 1/2 hour before opening on our first day and stayed til almost midnight – walked 32,000 steps! Small World had surprisingly long lines mid- day, and the line was all in the hot sun. And they tightened up the rules on fast passes! But we went on 22 rides the first day, some 3 or 4 times ( like Thunder Mountain and Pirates), and ate at Blue Bayou. Good times! You gave good tips! Such great info! You’re brilliant Dorothy! We are a married couple who are total Disney fanatics, and we finally got to visit Disneyland for the first time! And we made a video about it 😀 We love this website and all you do! We did a 1 day Disneyland on Sat between Christmas and New Years with 2 adults and 2 older teens. With your suggested itinerary, we were able to do all desired activities with minimal wait time. We stayed in hotel within 10 minutes walk. The no bag line was shorter so I gave my bag to my daughter so I could get through ahead to to buy tix with AAA discount, but they said must buy from AAA to get the discount 🙁 We used 3 regular Fasspasses which were super helpful. In the morning, we ate bread and apple while in line. At 11am, we bought turkey legs (sold at 4 locations) to eat in line. At 4pm, we took monorail to Downtown Disney for early fancy dinner. All meals were healthy and yummy with no wait time. We did 24,000 steps that day.